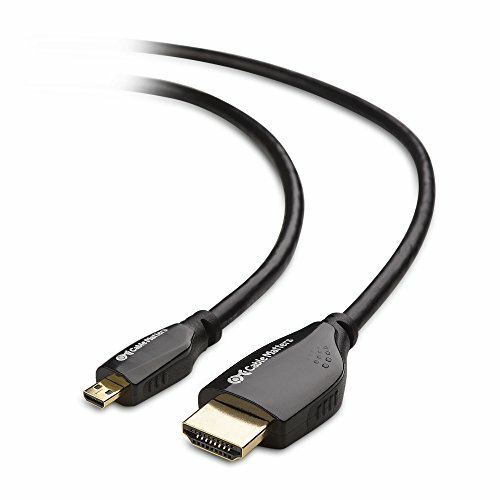 The Cable Matters Micro-HDMI to HDMI Cable is an ideal solution for connecting a tablet, notebook, or camera to a large screen display for viewing. Show a presentation on a projector from a notebook or connect a camera to an HD TV for editing video. Experience the vibrant video and authentic audio supported by this cable. A lifetime warranty is included with this cable for peace of mind when purchasing. Micro HDMI wire supports resolutions up to 1080p (FHD). If you have any questions about this product by Cable Matters, contact us by completing and submitting the form below. If you are looking for a specif part number, please include it with your message.